Alongside the United States Consulate in Hong Kong and Macau, the HKHTC arranged for Sergeant Carrier to address the following nine schools across the region: St. Stephens Girls’ College, Elsa High School, Kellett School, Po Leung Kok Laws Foundation College, Hong Kong International School, NLSI Lui Kwok Pat Fong College, Hong Kong University, Discovery College and Sha Tin College. Sergeant Carrier spoke about his experience as a solider in the Second World War, recounted the liberation of Buchenwald, and shared his advice for fighting bigotry and intolerance today. 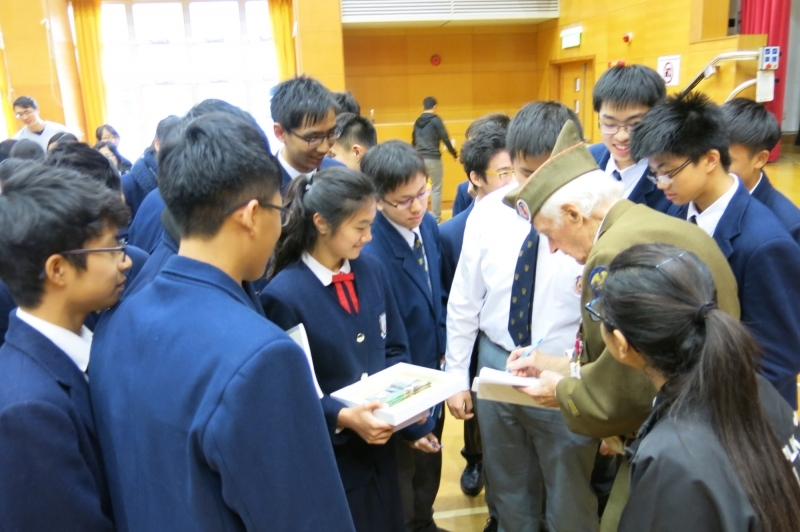 In total, 2,500 students (aged 12-22) were present for Sergeant Carrier’s talks. Sergeant Carrier’s visit to Hong Kong was covered by Apple Daily, CNN, and Phoenix TV.